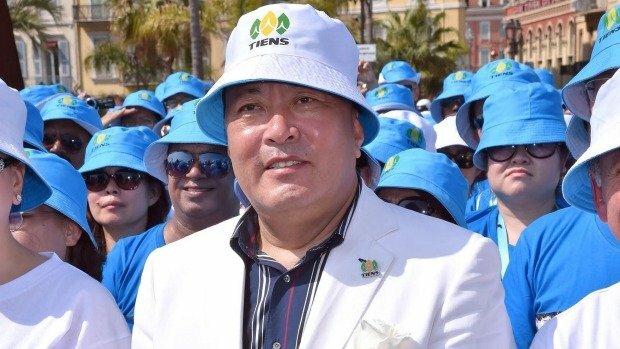 Home Tags Posts tagged with "chinese billionaire"
Chinese billionaire Zhou Chengjian has gone missing, his company confirmed. Zhou Chengjian of one of China’s biggest fashion chains, Metersbonwe, is the latest in a string of high-profile businessmen in the country to temporarily disappear. 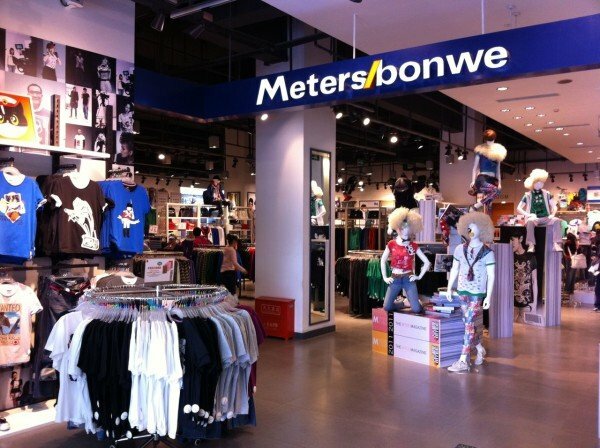 Metersbonwe suspended trading in its shares over his unaccounted absence. Chinese media reports have speculated Zhou Chengjian has been picked up by the police as part of Beijing’s anti-corruption drive. Zhou Chengjian has been named as China’s 62nd richest person by wealth publisher Hurun, attributing a fortune of $4.1 billion to him. Starting out as a tailor, he built Shanghai-based Metersbonwe into one of China’s biggest and best-known clothing companies. A company statement said it could reach neither the chairman nor his secretary. Metersbonwe also halted trading of its shares “to protect investors’ interests”. Zhou Chengjian’s disappearance comes only weeks after Guo Guangchang, chairman of private sector conglomerate Fosun, temporarily went missing. Fosun operates in sectors from steel and mining to pharmaceuticals. In 2015 it acquired the French vacation resort company Club Med. Chinese media reports on links between the disappearance of businessmen and the authorities sweeping anti-corruption campaign remain unconfirmed. In the case of Guo Guangchang, he reappeared after several days and according to his company had been “assisting in certain investigations carried out by judiciary authorities”. Tiens Group has treated more than half of its 12,000 employees to a four-day holiday in Paris and Nice. The huge Chinese company booked up 140 hotels in Paris as part of the package, a French foreign ministry spokeswoman said on May 7. The trip by the 6,400-strong group included a mass visit to the Louvre museum, Le Parisien reported. The members of one of the biggest Chinese groups ever to come to Europe arranged themselves on the Promenade des Anglais in the southern resort town of Nice to spell out the phrase “Tiens’ dream is Nice in the Cote d’Azur”. Guinness World Records inspectors duly declared that the visitors had created the longest human-made phrase visible from the sky. The mass trip to France, and the stunt in Nice, were organized to mark 20 years of the Tiens Group. Tiens Group chairman Li Jinyuan, 57, met France’s foreign minister Laurent Fabius on May 6. He booked 4,760 rooms in 79 four-and five-star hotels in Cannes and Monaco. The tourists also required 146 buses to drive them around. Nice was estimated to be €20 million ($22 million) better off for the visit. According to the Tiens website, Li Jinyuan founded the group in 1995 and has expanded it into an international conglomerate with businesses in biotechnology, health management, ecommerce, hotel and tourism, among others. Li Jinyuan is listed on the Forbes 2011 list of the world’s billionaires. Kelly Zong, daughter of China’s wealthiest man, has everything she could ever want – but money can’t buy her love. U.S. citizen Kelly Zong, the daughter of Chinese billionaire beverage tycoon Zong Qinghou, says that she’s never had a boyfriend. The 30-year-old businesswoman bemoaned in a recent interview that she feels “pessimistic about love” after so many men have been found wanting. Kelly Zong, who graduated in 2004 from Pepperdine University in California, is currently the president of her father’s beverage empire, Hangzhou Wahaha Group. She said that would-be suitors are only after her for money, or to pitch her business ventures. “It’s not easy for her to tell whether men are genuinely interested or just in her wealth,” the report said. 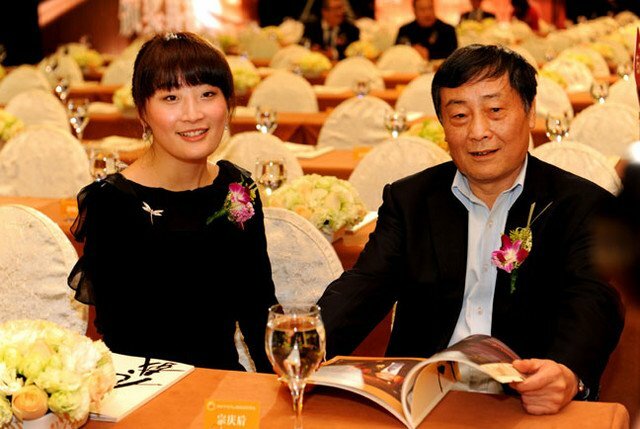 China’s media has dubbed the only daughter of the billionaire as “the most diligent princess” for her astounding work ethic and devotion to expanding her father’s beverage company. The young woman has done much within the business and has also started several philanthropies, many focusing on providing education to underprivileged youth. She joined the Wahaha group in 2005, and has served as assistant and vice director, according to Want China Times. The glamorous young woman’s plight has not gone unnoticed – as the South China Morning Post notes, China’s citizens have taken to social media to offer their sympathy and advice. “Fake a new identity and get a low-key job,” one user of Sina Weibo, a Chinese Twitter-like service, suggested. According to Bloomberg, Kelly Zong’s father is worth an estimated $20.1 billion. Zong Qinghou’s company earned an impressive $11 billion in sales in 2012, placing it third behind Coca-Cola and Hong Kong’s Tingyi. Kelly Zong is widely expected to take over her father’s business after he retires, though he says he has no plans to do so any time soon.